Découvrez les îles de Polynésie française, chaque archipel à son caractère, les îles du vent pour leur charme, les îles sous le vent pour leur douceur, les Tuamotu et gambiers pour leur apaisement, les Australes pour leur raffinement et les Marquises pour leur majesté. Ca vous dit un petit séjour ? Vous souhaitez plus d’informations sur nos destinations en Polynésie ? Voyagence was established in 1978 making it one of the first travel agencies on the Territory. After its partnership with the French airline Corsair when implanted in Tahiti in the early 90s, the agency has specialized in the “outbound”. Voyagence is a department of the partnership Amitahiti, itself part of Siu group which is very active in various sectors of the local economy and whose reputation is unquestionable. This family group owns over twenty companies with a total workforce of around 450 people. 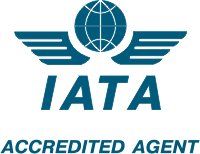 The agency has obtained the IATA accreditation since the start of its activities which allows to deal with all serious airlines around the world. In Tahiti, it has the official partner Air Tahiti airline that serves French Polynesia.